Fiji is one of the most popular tropical destinations. It’s synonymous with pristine water, colorful corals, and mesmerizing schools of fish. In such a place though you can also expect to find some seafood goodness. And indeed, if you love seafood, Fiji could be your paradise. Check out these ultimate guide to Fijian fish to see what delicacies you can find. The unicorn fish has a rather intimidating appearance, and if you like snorkeling or diving, you probably spotted it around corals. It is an ugly fish with a horn on its forehead, hence the name, but it’s so soft and delicious when it’s cooked that you’ll instantly forget its unsightly look. Locals often grill or roast the fish and serve it with plantain and fresh coconut cream. The tasty and firmer flash is often a favorite of kids. 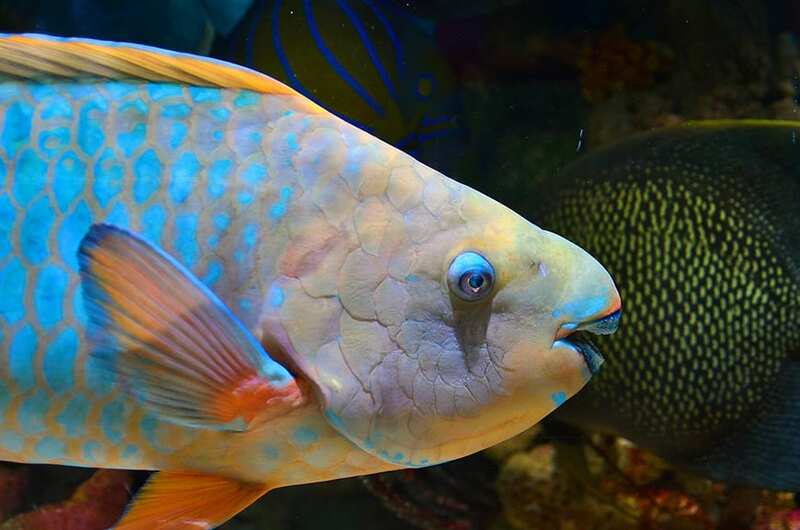 Parrot fish also spends its days among corals, and just like the unicorn, it’s a voracious herbivore. It is very brightly colored, so you can easily spot it in most tropical postcards. What you didn’t know perhaps was that parrot fish is also delicious. This saccharine delight is usually prepared whole, either fried, stewed, or steamed. It is often seasoned with spices and coconut shavings and served on plantain leaves. You can also have it grilled if you really insist, but it could not display its entire palette of flavors in this way. Lobster is a delight in many cuisines around the world, and it couldn’t have missed from the Fijian. It is a favorite among seafood lovers and can be prepared and served in a dozen ways. You can fry, grill, steam, and even bake it. A quick search will reveal countless ways to serve this delicacy. Some eat it raw; some include it in seafood salads or pair it with spaghetti or sauces. In Fiji though, rock lobster curry in coconut milk is a staple dish. This mix of lobster, veggies, and spices is creamy, smooth, and will likely change your perception of how the perfect lobster dish should look like. Back to a more local delicacy, while in Fiji, you must also try mahi-mahi. This surface-dwelling ray-finned fish feeds on a whole bunch of marine delicacies, such as squid and flying fish. They grow to sizeable dimensions and can reach an astonishing speed of 50 knots. Fishing them is quite an endeavor. But once you’ve caught it – or bought it at the fish market (shhh.. we won’t tell) – you can transform it into delicious meals. Fijians usually use it in Kakoda, a traditional fish salad prepared with mahi-mahi, onion, chili, coriander, tomato, spring onion, coconut milk, and salt. It is traditionally served in coconut shells and garnished with lime wedges. If you like seafood, this dishe surely is a nice treat. 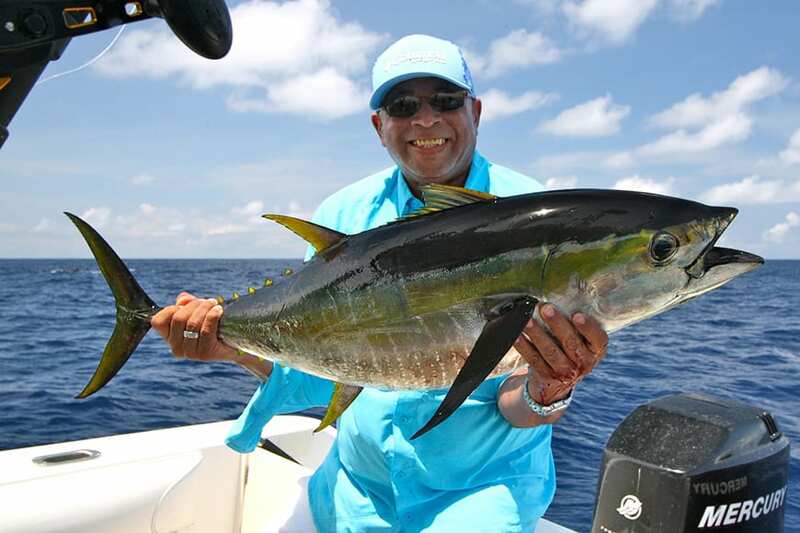 If you’re not that daring and would rather go for a more popular choice, know that Fiji is also famous for its Yellowfin Tuna. This Fijian fish can reach an impressive size and strength, but it’s one of the most popular fish in the world. Most restaurants on the islands serve seared tuna with Fijian style potato curry, a truly mouthwatering pairing. Eggplant with tuna in coconut milk is another dish to try if you’re not reluctant to more daring flavor combinations. 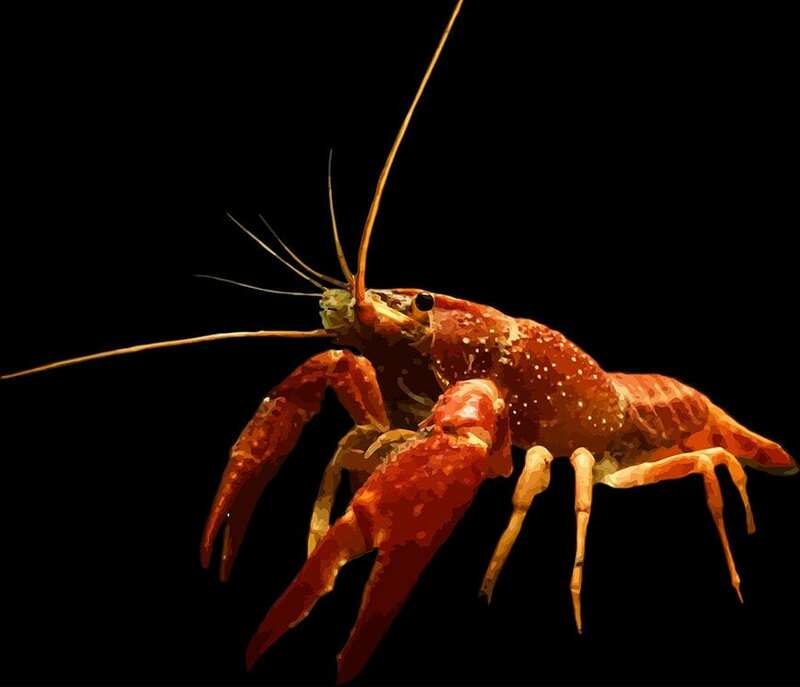 Crayfish is a nocturnal freshwater crustacean that looks very much like lobster. But don’t be fooled by its looks. Crayfish tastes nothing like lobster. If it were to compare it with haute cuisine textures, it would probably be the foie gras. Crayfish has a smooth, creamy texture that pairs surprisingly well with the Fijian spices though. There are so many ways to prepare them too, and most of these dishes are delicious. Plainly boiled crayfish served with coconut cream and lemon sauce is perhaps one of the easiest and most delicious ways to cook it. Crayfish is also commonly used in Fijian rice curries, or you could simply grill them. If you love mussels, then you must indulge some Fijian fish dishes featuring them. 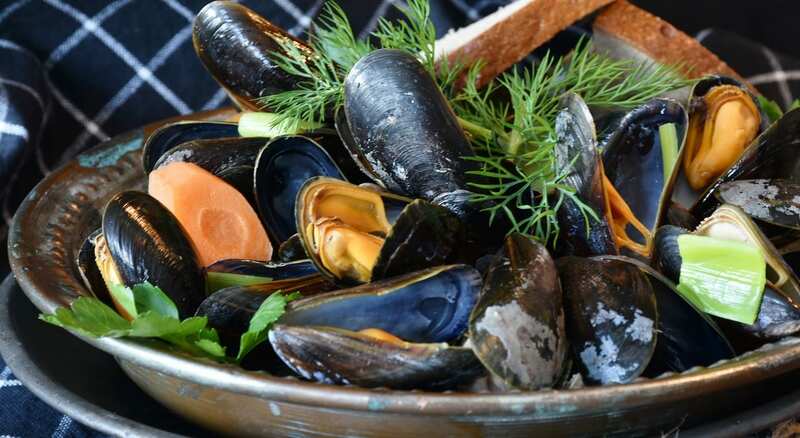 In the more sophisticated parts of the world, such as France or Italy, mussels are often served raw or slightly cooked. In Fiji though, they are part of many hearty dishes; they often replace Nakai mollusks in curry, although one of the best dishes to try is fennel and coconut mussels. Freshwater mussels curry is another interesting recipe. If you want something less spicy, baked mussels are also a highlight of the Fijian fish cuisine. 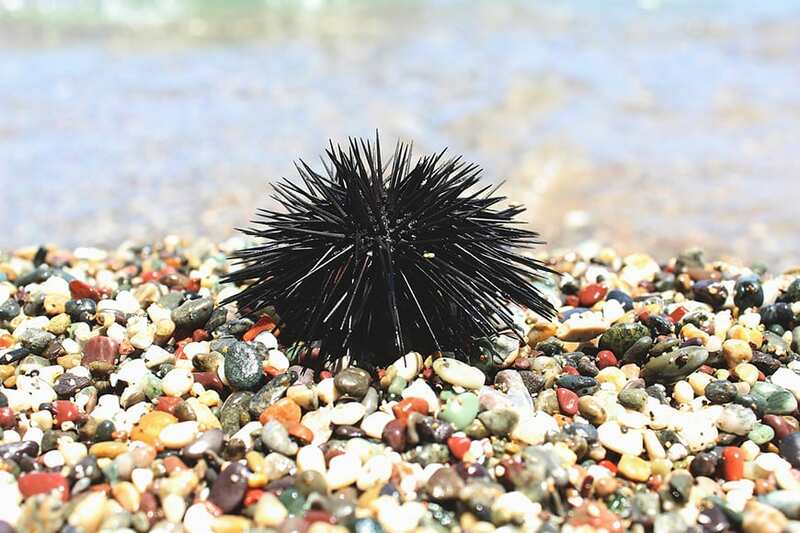 Sea urchins may put you off with their spiny look, but their flesh is actually delicious. They have a unique, savory flavor and are best enjoyed raw. Butter or lime juice can enhance their flavor, and in Fiji, it’s more likely to have them served with the latter. They can also substitute shrimp or lobster in curries, or you could grill them for a few minutes if the idea of eating raw fish doesn’t excite you all that much. 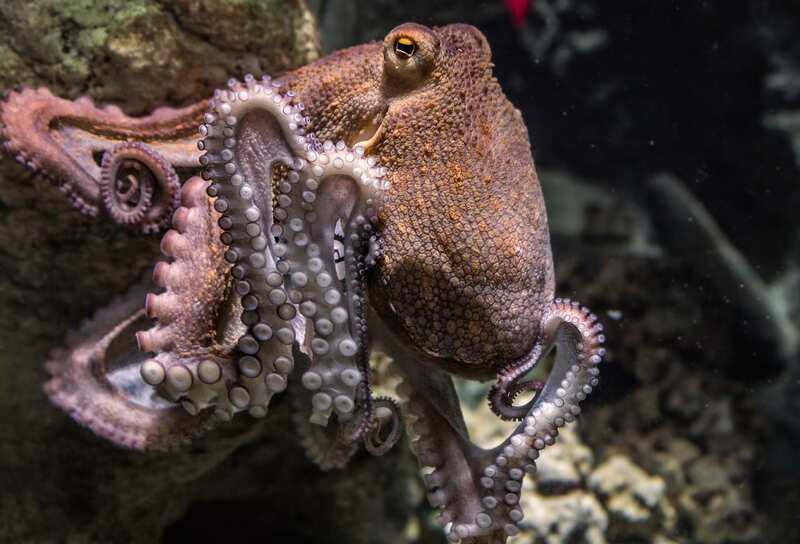 Octopus is another delicacy renowned all over the world and present in numerous cuisines. And as you would expect, this cephalopod couldn’t have missed from the Fijian cuisine. The staple dish here is an octopus in coconut cream. The softness and sweetness of the coconut pair wonderfully with the savory flavor and heartier flesh of octopus. You could also grill it, while fried octopus is another great dish to try. Obviously, you can also find it in curries. 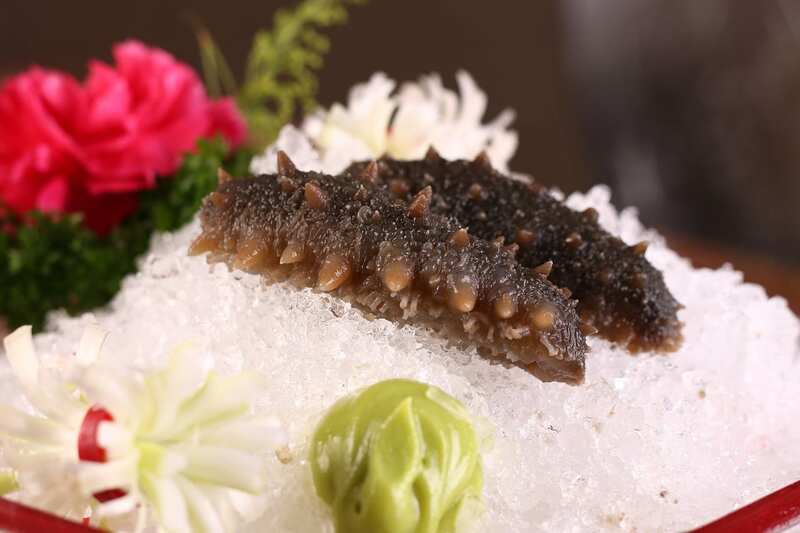 Sea cucumbers are strange marine animals with an elongated body and tough skin that populate ocean and sea beds in many parts of the world. But these awkward creatures look nothing like delicious food. They only tend to be a delicacy in the Fijian and Chinese cuisine though. In Fiji, stuffed sea cucumbers are usually prepared for family feasts and other important gatherings. They are almost tasteless with a slight savory note and have a slippery texture. You can either love or hate them. But even if there’s no in-between, you should try them at least once. If you don’t think sea cucumbers could be a good treat, try Fijian crab. Sea beds around the islands are home to a large population of these crustaceans. Fiji’s signature dish when it comes to this type of fish is undoubtedly the Fijian crab curry with coconut milk. Like most fish curries, this is a spicy-sweet dish with a soft, creamy texture that pairs wonderfully with the crab’s flesh. Other ways to enjoy this delicacy is grilled or steamed. Crab is also used raw in many seafood salads, or it can replace mahi-mahi in a Kakoda salad. We bet that eating shark didn’t really cross your mind. Nevertheless, this is a popular delicacy in many tropical countries. Although it could be hard for a westerner to imagine a dish full of this dreaded fish, historical evidence attests that humans have consumed sharks since antiquity. The consistency of its flesh, as well as the taste, are quite similar to tuna. You can either eat it grilled or indulge yourself with Fijian fish curry or Fijian fish in coconut cream. Both recipes can also contain shark. 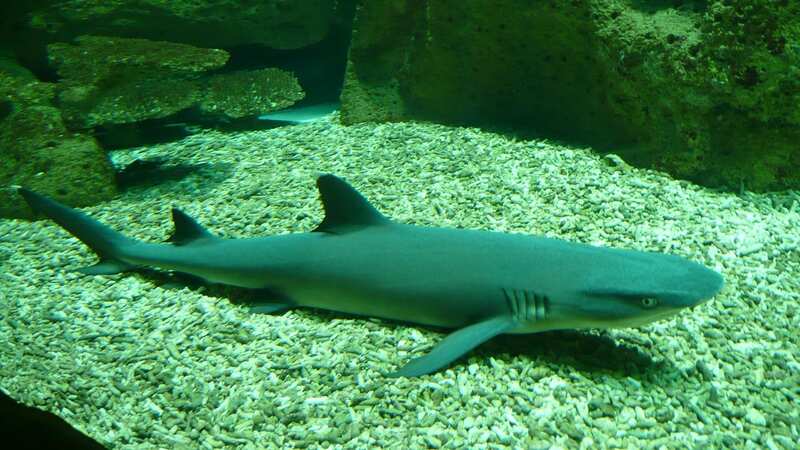 However, because most shark species in Fiji are protected, it’s very rare to find it in restaurants or fish markets. Prawns are another type of popular seafood you can find in many parts of the world, but that’s especially delicious in Fiji. The clean waters around the reefs give prawns an almost pristine habitat. Their flesh is slightly savory and delicious, and you can either have them raw, steamed, fried, or grilled. Two local dishes to try are the Fijian prawn curry and chili coconut prawn. Spicy prawn masala is also popular on many islands throughout the archipelago. Marlin is one of the largest and most intimidating fish in Fiji. It threatens with its spiked nose and considering its size; it is very hard to catch it. 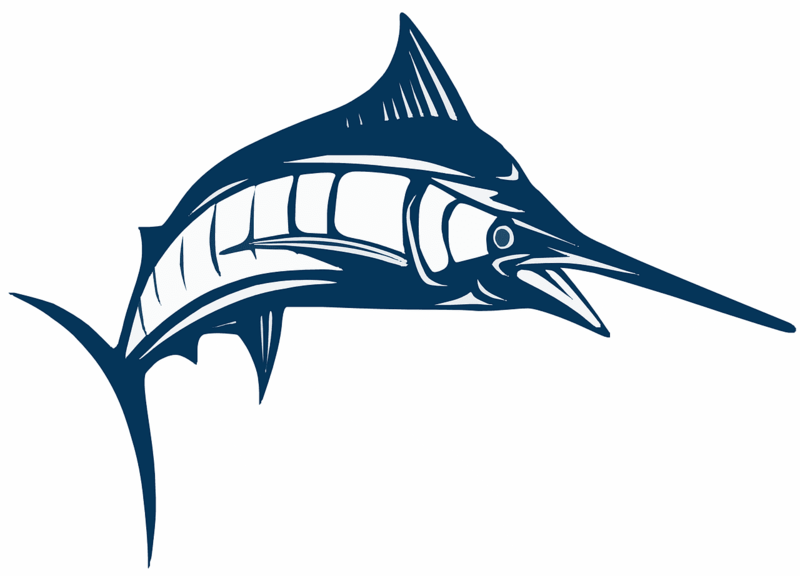 There are two types of marlin fish, either blue marlin characterized by a white flesh and a fatty flavor or striped marlin which has a tender pink or orange flesh. Both varieties are often consumed raw. Marlin steaks are also delicious, or you can grill it. Roasting and pan-searing are also common, and all marlins can also be smoked. Wahoo is another popular fish in Fiji. It has an elongated body and a nice bluish skin, but its main advantage is the flaky, delicate white meat that is simply delicious. Due to its low fat, wahoo is ideal to use in most fish dishes. If you want to taste the fish rather than the spices though, a fish curry could not be the best choice. Luckily, wahoo is great for poaching, and it can also replace mahi-mahi in a fish salad. Characterized by white-pinkish flesh, albacore tuna is one of the biggest fish found in the Fijian markets. Like most tunas, it’s slightly on the fatty side, a characteristic that makes it an ideal choice for marinated tuna steaks or grills. Albacore is also smoked or used for sashimi and poaching. Locals also use it in fish curries and stews. This is one of those stunning, colorful fish you can admire alongside the reefs. It is quite large in size and has a rich, fatty flesh. Grilled or smoked moonfish are perhaps your best bets, but it also works wonders in fish curries or fish with coconut cream recipes. Swordfish is a large, predatory fish present in many parts of the globe, but it tends to prefer tropical waters. It has a round, elongated body and spiked nose, and it’s commonly mistaken for marlin. However, the two belong to separate species, and swordfish offers different gustatory sensations. This fish has a soft, almost smooth flesh that literally melts in your mouth. It is often served raw, but because it has a high-fat content and rich flavor, it also pairs well with a host of cooking methods. It is ideal for pan-frying, roasting, or grilling. Fijian swordfish steaks are a true delicacy too. Like you could expect, swordfish is often used in fish curries, fish with coconut cream, and even in fish salad recipes. Seafood lovers can undoubtedly choose from many Fijian fish dishes worth trying, and we hope this ultimate guide has given you an idea or two.